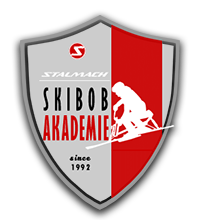 A skibob teacher who can train skibob students who do not have a disability, but must be attended by a 2nd or 3rd level Skibob instructor. 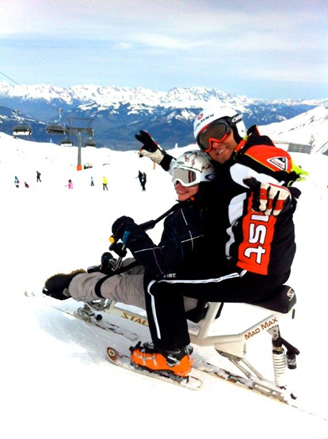 For training as a skibob instructor candidate, good riding skills in skibob riding are required. 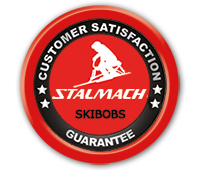 Ideally, send us a video based on which we can assess your skibob skills. 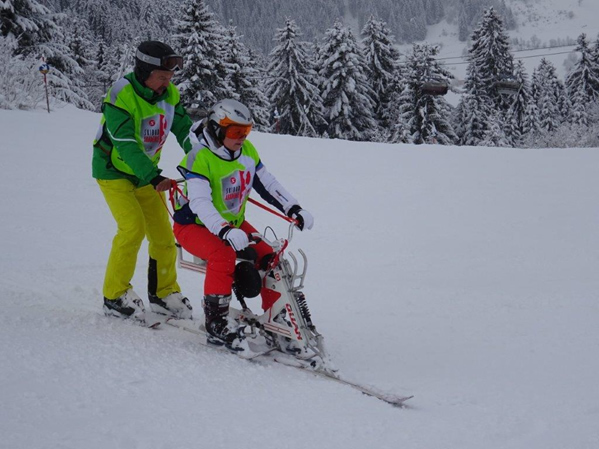 A skibob teacher who can train skibob students who do not have a disability. After successful training as skibob instructor candidate, you can continue training as a skibob instructor. A skibob teacher for any students. This training level can be attained by people who have passed the second level of skibob Instructor training. 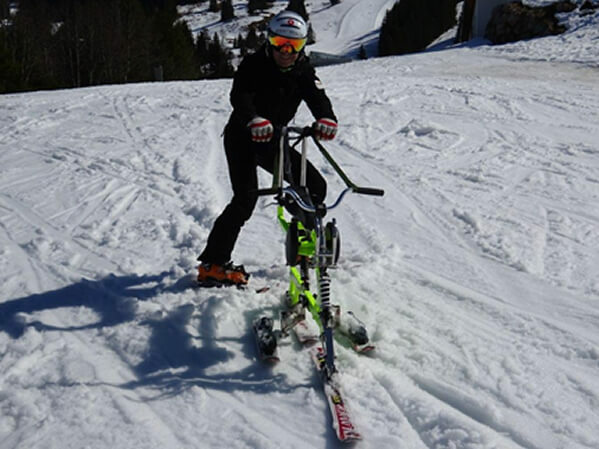 the skibob Tandem "Mad Max"
Each training course lasts 5 days. On the five days there will be four hours each day on the snow, and on four of the days an additional two hours of theory are carried out. Each level of education ends with an exam. After passing the exam, the participant receives a training certificate. If a participant does not pass the exam, they have the opportunity to repeat the exam on another appointment. The exam fees for another exam are 290 €. Course registration and payment must be made at least 30 days before the beginning of the course. We accept no liability for accidents or damage. Travel costs, accommodation, meals, lift tickets and skibob equipment must be paid by the participant. All efforts are made to keep prices as low as possible therefore no discounts are available. At the beginning of the training course the support person learns without a rider. 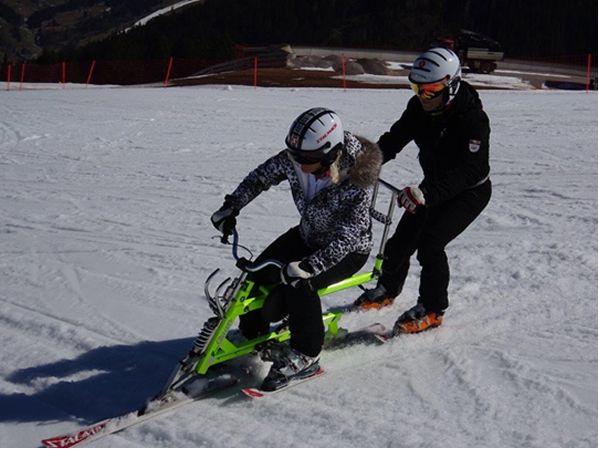 The support person rides behind the skibob and practices securing with handlebar and/or safety lines, with no rider on the skibob. 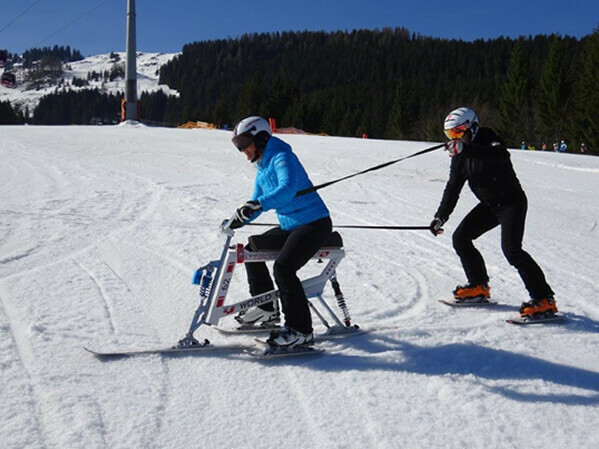 As you progress through the training course, support people will learn with a rider on the skibob. 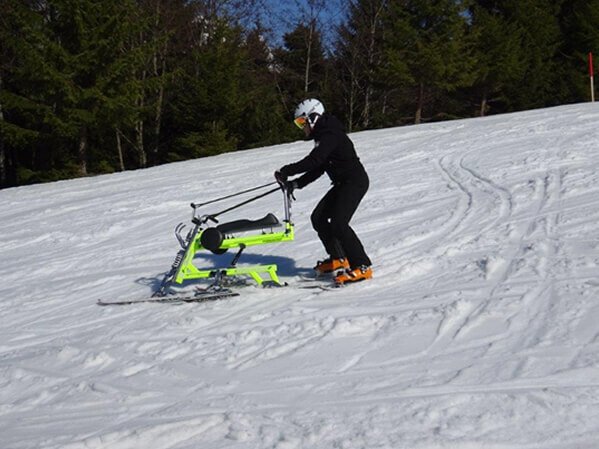 The support person rides behind the skibob and secures the rider with handlebar and/or safety lines. Training for skibob “Mad Max” rider and co-pilot over three days. Each training takes 3 days. An drei Tagen werden jeweils vier Stunden auf dem Schnee und an zwei Tagen davon zusätzlich zwei Stunden Theorie durchgeführt. On the three days there will be four hours each day on the snow and on two of the days an additional two hours of theory are carried out. Die Prüfungsgebühren für eine weitere Prüfung betragen 290 €. 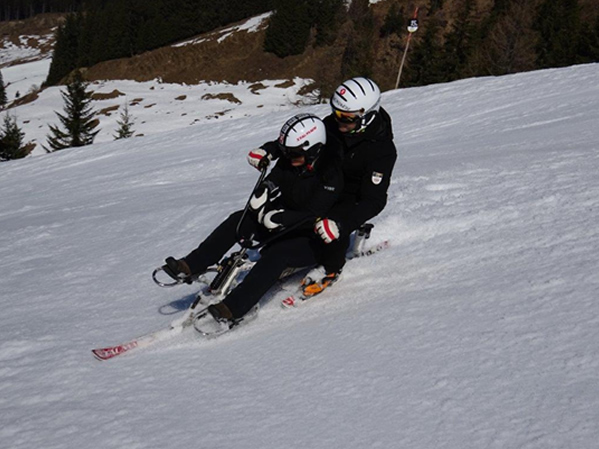 At the course “Dream for two” with the Skibob Tandem “MAD MAX” and “Quan in Harmony With You” on the skibob “Quan” there is no additional cost for the second rider who has a disability. Travel expenses, accommodation, meals, lift tickets and skibob equipment must be paid by the participant. You can book with us by Form, e-mail or by phone..